*MILDOT: RED/GREEN Light *Side Focus system This item is short type, so it is easy to handle even if attach on AR. The reticle lights in red/green, so you can choose the color depends on your scene. 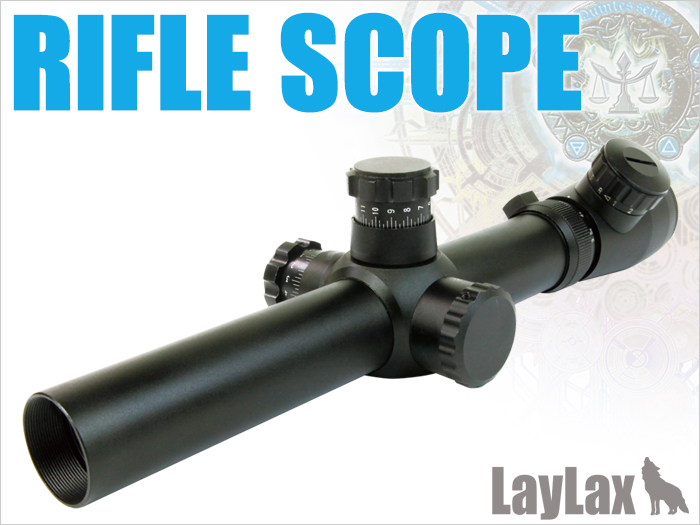 Magnification: 3.5-1 times Tube diameter: 3mm Objective lens: 25mm Outer diameter of Objective lens: 3mm Outer diameter of Eyepiece: 4mm Length: 286mm Side Focus Reticle: MIL Dot Illumination: Brightness: Adjustable in 5 stages.